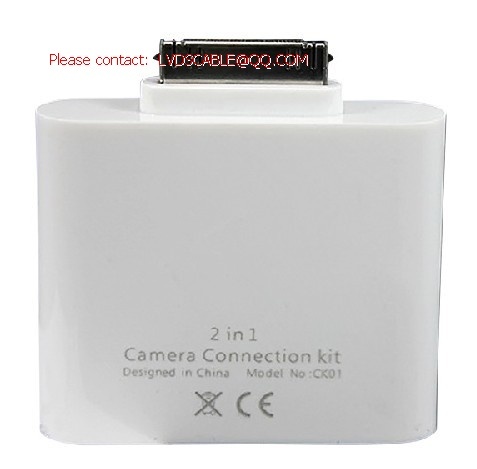 *Camera Connector: Features a USB port to directly connect your digital camera using its USB cable. *Card Reader: Features an SD card slot to directly connect an SD card. iPhone using a USB cable (not included). IPhone 3G is not supported. IPad and the Camera Connection Kit support standard photo formats, including JPEG and RAW, along with SD and HD video formats, including H. 264 and MPEG-4.